Transitions represent a natural and inevitable part of life’s journey. They can, however, halt our lives, disrupt our plans and cause us to completely switch course. Transitions can be untimely, frustrating, and absolutely terrifying. Often we want to deny what is happening and try to run from it. Fortunately, when we embrace transitions and learn to manage them they can lead to positive outcomes, and empower us to grow as individuals. Finding ourselves in a period of transition truly brings out our fear of the unknown. We may have to see things from a different perspective, learn or re-learn skills and figure out how to adjust to our new lives. The whole experience itself can make someone feel very unbalanced and off-kilter. Transitions come in all shapes and sizes. Some may be monumental ones that blindside us on an idle weekday. Some may happen by choice, and some by chance. Whether it is leaving an old career to seek a more satisfying one, moving to a new home, or entering a new exciting relationship, all of these transitions are voluntary. 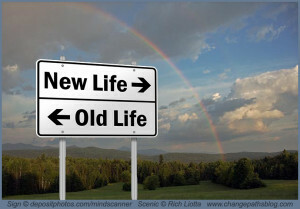 These are choices that though stressful, are still a deliberate move into something new and different. For most individuals a voluntary transition is much easier to handle, but it can still bring unexpected challenges. Chance transitions are those that often surprise us and are out of our control. They are thrust upon us, and we are forced to figure out how to deal with them. A medical emergency or crisis, job loss, the sudden end of a marriage, or loss of a loved one, are all transitions that can emotionally and intellectually paralyze you. They can cause fear, grief, and guilt, not to mention a complete life disruption. Many things will simply need to be put on pause while you deal with what is at hand. These types of transitions are very challenging. Whether by choice or by chance, transitions throw us off. They often require effort and time to manage and move past. Change is truly inevitable and will happen to you at some point whether you plan for it or not. The feelings that you experience are often complex and not easy to deal with. Let’s talk about how to cope with the change, how to turn it into a positive life pivot and how to move forward. First I will make a few points about understanding the transition. Then about how to be proactive, rather than reactive, and being present in moving through a transition toward the future. Chance transitions can bring about a host of feelings; pain, guilt, grief, fear, loss, and sorrow. Because these feelings hurt, we can try to avoid them by sweeping them under the rug and doing our best to ignore them. While they are painful, these feelings must be felt. Feelings happen and they are not forever. After they are felt you will have more capability to let go and move on. Allowing feelings opens up the potential for the future. Accepting negative feelings allows us to more fully realize the positive feelings that include hope, excitement, and joy. Remember to allow yourself to grieve for the past, but make empowered plans for a new future. Eventually other choices, goals, and dreams will emerge. One path in your life has ended, but what can that open up to you now? Know that both your strengths and weaknesses will be exposed as the landscape of your life is changing. Everything will be out on the table. You’re going to be pulled out of your comfort zone, and forced to behave differently to survive. That’s the hard part. Transitional periods will exacerbate some of your deepest fears and inadequacies, highlighting your perceived weaknesses. That is to be expected. Feeling like you are on an emotional roller coaster is not unusual. At the same time, navigating your way through a transitional period will show you the strengths you have and help you discover new ones. Being thrown out of your comfort zone has the amazing ability to help you become a stronger and more resilient individual. These are key elements to remember when you are recovering from, or adjusting to, a transition. Navigating transition requires reorganizing, re-understanding, and re-engaging with your sense of self. Indeed all else can go by the wayside as you are compelled to find your footing. 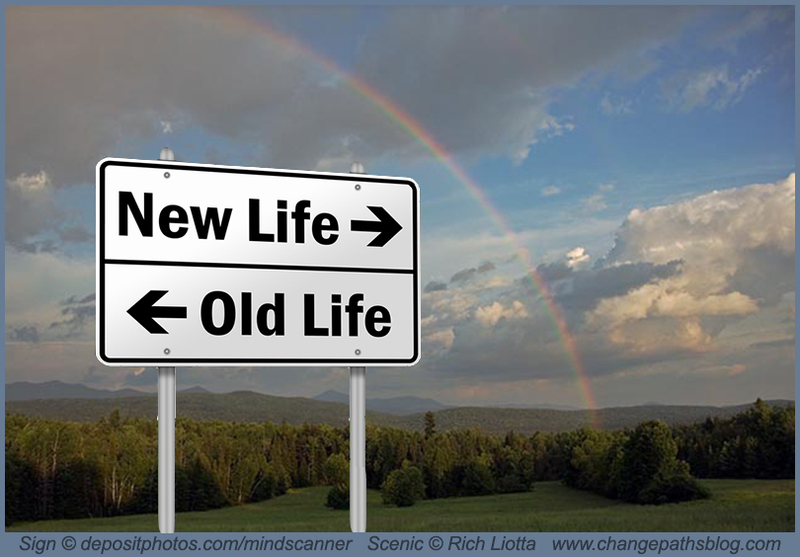 Know that a transition can change your life in negative ways, or it can lead to possibility and growth. Consciously decide what you want to happen. You’ll be surprised what happens when you put an optimistic twist on it. Re-understanding: Rather than sweep your concerns under the rug about life after the transition, take a good look at them. Learn what stops you from moving forward, and/or, creating a new life. Ultimately this involves shifting your thoughts and coming to an acceptance about how life will be different. Though this may feel horrible or overwhelming at first, trust that it will get better. Reorganizing: Initially reorganizing is just taking care of business, the tasks and duties of daily life. Not exactly glamorous, but necessary. It is often surprising how much the little things that we take for granted day to day will need to be reorganized now. During this period, you may have to change your feelings, thoughts and behavior. Eventually reorganizing requires changing priorities and remapping the territory that is your life. Re-engaging: Transitions often create a disconnect between who we are and who we are becoming. Rediscovering or simply appreciating who you are in relationship to yourself and others is critical now. Part of this accepting the support and love of family and friends who really want nothing more than to help you in difficult times. Knowing you are not alone can only make you stronger! Getting your feet on the ground will help you to gain momentum to move forward. Despite the challenges, going through a transition can actually increase your self-confidence and create new and helpful experiences. Transitions can inspire us to look within ourselves and make plans for the future. Find some alone time to do a little soul searching. Check in with yourself about how you’re feeling. Also, know that if there are generally negative feelings about the transition that they won’t last forever. At this point, know that it is okay to just feel the way you feel. Soul searching is a healthy way to respond to a transition. When one path ends, which one will open up next? The next path may mean making new choices and navigating the fear that challenges you. It may mean growing emotionally, spiritually and intellectually. Ultimately, soul searching should lead you to discover better ways to find well-being and growth within your life. Chance transitions can feel like a terrible thunderstorm that seems never ending. But the rain will eventually stop and the clouds will clear. You will be able to get your feet on the ground and gain an understanding of what is going on. You will feel, and you will grow. It may not seem like it at first, or even for a while, but eventually other opportunities, goals, and dreams will emerge. The rainbow will appear, energized by wisdom gained through experience. Transitions can help you restore faith in your own resilience. You will make it through the storm and you will bounce back. Here’s to you finding yourself energized by wisdom gained through the experience of transition! This entry was posted in Transitions and tagged change, inspiration, life transitions, personal growth, personal transformation, psychology, self-discovery, transitions. Bookmark the permalink.